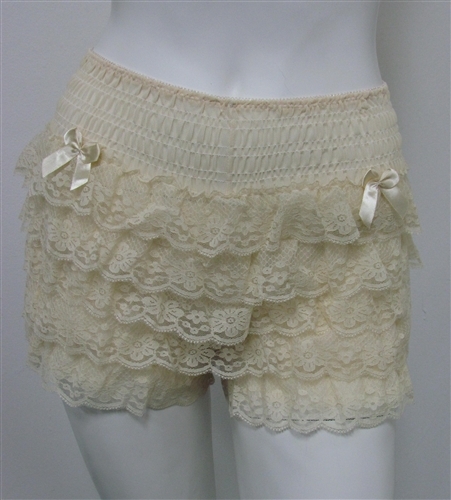 Gettin Flirty... these bottoms have cute bows and lace frills. Can be worn under garments or as night wear. Available in Cream.